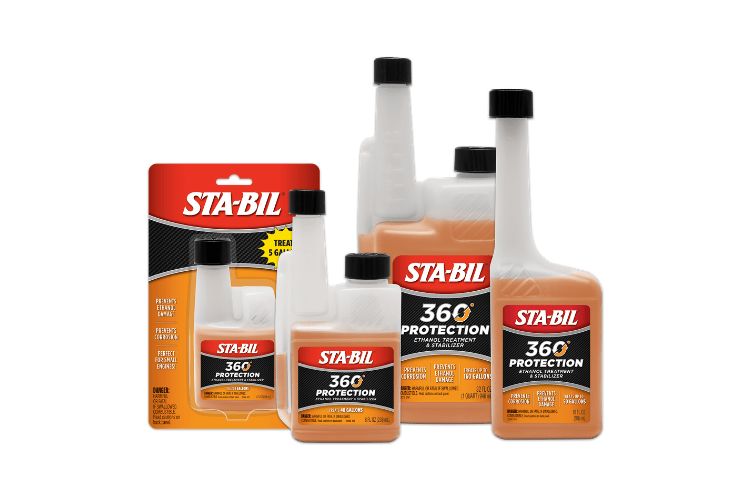 NO-LEAK brand safely swells, softens, and conditions the rubber seals, which stops the leak. Gold Eagle NO LEAK Power Steering Stop Leak stops and prevents power steering leaks and conditions power steering seals in one formula. 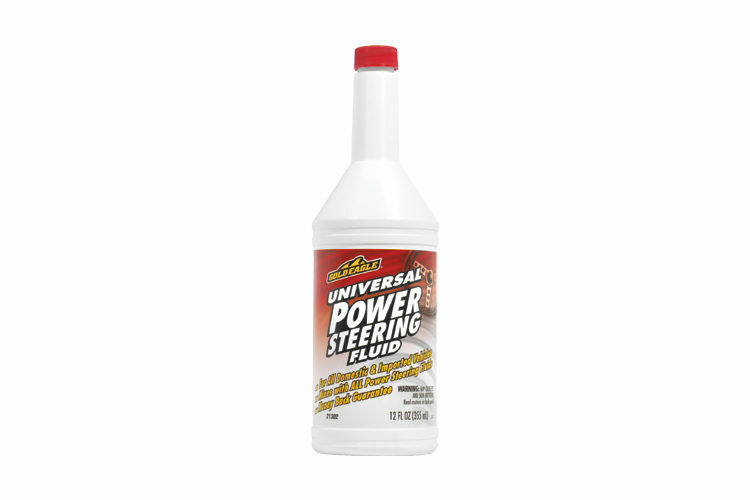 Safe and compatible with all types of power steering fluids, it helps quiet system, pumps and gears while conditioning the entire steering system. This product comes in a clear, easy to pour 16 ounce bottle. See owner’s manual for filler cap location. Car engine should be off. Check fluid level and add contents of bottle, but do not overfill. Note: Some fluid may need to be drained or siphoned to accommodate entire contents of bottle. Leak should stop within 200 miles (300 km) of driving. If leak continues, repair may be necessary. 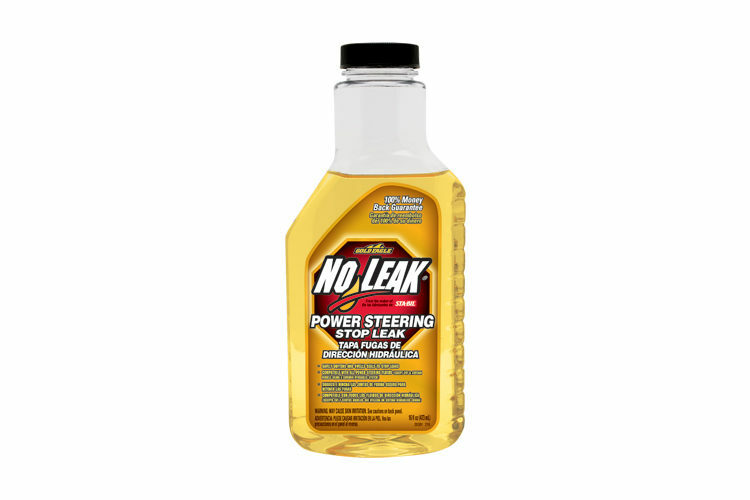 Is NO LEAK® Power Steering Stop Leak safe to use? 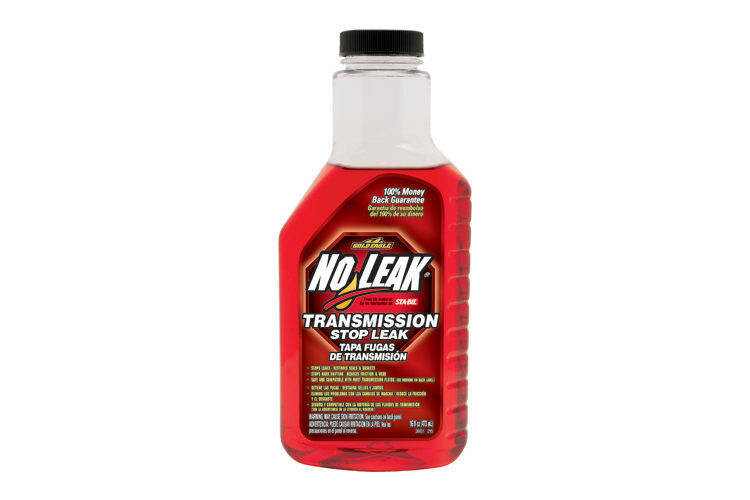 Yes, unlike some other sealers, NO LEAK® brand is perfectly safe to use with all power steering fluids, and will not damage your vehicle. My vehicle uses Transmission Fluid in the Power Steering Unit; can I still use NO-LEAK® Power Steering Stop Leak? Yes, you can still use the Power Steering Stop Leak in your Power Steering unit. No Leak® Power Steering Stop Leak is rated 4.4 out of 5 by 8. Rated 5 out of 5 by yFang from It Really Works I tried No Leak Power Steering Stop Leak on my old Honda Accord. The power steering fluid leaks slowed to almost stopped after a whole bottle was used in 14 days. That's exactly what I hoped for. Great product! Rated 1 out of 5 by Dwpreston from Not of very good quality I received a free sample in the mail and I used the product as directed. I have driven the vehicle around 600 miles and since then I have not noticed a big difference. The leak has slowed down very little to none. I think maybe I would try another bottle in the future just out of curiousity to see if it helps any more but I am kind of skeptical about wasting any money on it. Rated 5 out of 5 by nick1946 from stopped leak!! I received a FREE sample several months ago. This vehicle is not driven often so my power steering leak was not resolved until now. For several weeks my fluid level has not dropped!! Thank You Now please help me with my oil leak. Rated 4 out of 5 by Aaron from Helped a bit I received this product for free from the company and that was highly appreciated. While it did not eliminate the leak, there was a notable difference. My issue needs a mechanic's touch. Thanks No Leak! Rated 5 out of 5 by Rush from I got a free sample I tried No Leak for my power steering on my 97 Nissan Maxima am so glad I did. 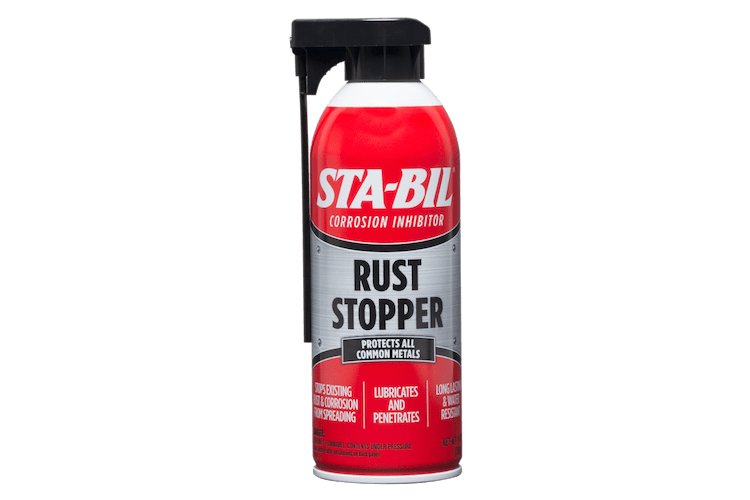 This stuff began working a few days after using it. Thanks a lot for the free sample. Rated 5 out of 5 by TeddyR from Amazing customer service The customer service from this company is uncommon. The product itself wasn't what my power steering needed but nonetheless I would buy from these people again! Rated 5 out of 5 by Becloupie from Received my free sample It slowed the leak way down so I have went and bought one, and going to see what happens..